BOX TOP collection is an easy way to help our school. Now it is even easier! There is an APP (BOX TOPS BONUS APP) you can download for your android or Apple phone. Once you build your account and attach it to HS, it is simple to use. It has printable and digital coupons of all your favorite Box TOP items. 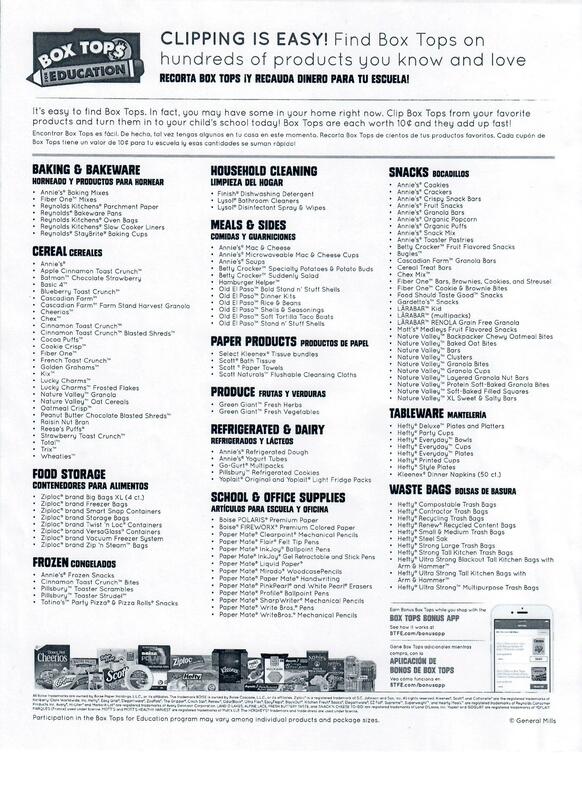 Additionally, it captures credit for our school if you scan in your receipts showing the purchase of BOX TOP items. That doesn’t mean we will not collect paper BOX TOPS and certificates (we receive at the checkout line with our receipts). In fact, save all BOX TOPS for an upcoming challenge. 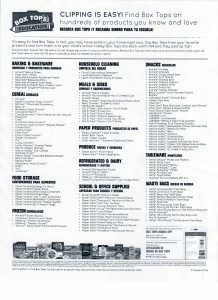 Do you shop on Amazon? Did you know smile.amazon.com has everything amazon.com has, but kicks back .5% of your purchase to a charity of your choice? Plus, Holy Spirit is one of those charities! When selecting a charity, search for Church of the Holy Spirit in Louisville, KY. It’s easy to shop and feel good about giving back. The only stipulation is you must shop from the website smile.amazon.com – the app does not work. Kroger Community Rewards is the easiest PTO fundraiser EVER. Each quarter the PTO receives more than $1,300 from this program. WOW! You must have a Kroger Plus Card and scan it at checkout to participate in this program. To sign up for the program, simply log into your Kroger.com account, where you can select us as your community rewards organization: HOLY SPIRIT SCHOOL PTO #AL226. Joining the Community Rewards Program is FREE and does NOT affect fuel points or other discounts earned. Ask grandparents, aunts, uncles, etc to set up. Any Kroger shopper can support our school by signing up for this program!